Plain and simple, the FemtoSure does everything better. This technology, as though it weren't already impressive enough, delivers high fluence capabilities that have NEVER been seen before and will NEVER be seen again after April 1st. The user interface is so easy, any fool with a lab coat can use the laser. One Pass Tattoo Removal is HERE! A femtosecond corresponds to one quadrillionth of a second, one-thousandth of a picosecond, or one-millionth billionth of the time you spent trying to recall enough high school math to decide whether “millionth billionth” is an actual thing. How did we come up with the name of the FemtoSure? Great question... watch this short video to see the behind the scenes of the naming of the first ever, femtosecond tattoo removal laser. In a miracle of modern science, the femtosecond laser was developed at our partner laboratory DEXTR Technologies at the suggestion of April Pirst, a University of Texas intern, who felt she could be doing much more with an extra few picoseconds in her day. When asked to comment on her role in the most radical scientific breakthrough since the Shake Weight, Pirst admitted “I actually said I wanted to find a way to deliver pizza faster, but faster tattoo removal is pretty cool, too, I guess,” before returning to her phone. 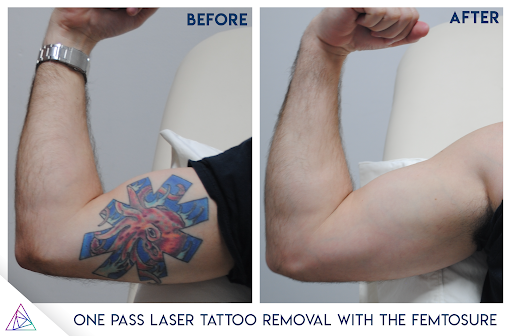 Click here to watch the first ever treatment video of One Pass Tattoo Removal Treatment. Medical professionals around the world are reeling at the FemtoSure's launch. Among those excited for what this means for the future of the aesthetic industry are big names, such as Dr. Pepper, Dr. Dre, Dr. Phil, and Dr. Seuss. Read their testimonials by clicking here. Disclaimer: We are optimistic that we will receive FDA clearance sometime in the year 2029 or possibly 2032. We have done the math, and it’s highly likely the FemtoSure will receive FDA clearance before the Dallas Cowboys win their next Super Bowl. Disclaimer #2: We do not condone gambling or betting on sports. However, purchasing a FemtoSure is a sure bet to make you an April Fool. The FemtoSure is available for pre-orders starting April 1, 2018, exclusively from Astanza. Whether you’re an existing laser tattoo removal provider or an entrepreneur looking to enter this growing field, effective online marketing is the key to success. 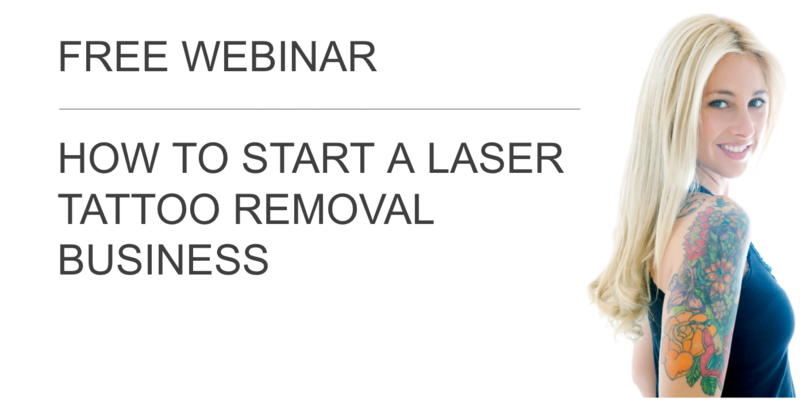 Astanza is offering a free webinar to help share insight on how to start a laser tattoo removal business. Various topics will be covered, including marketing and business operations, laser selection and maintenance, steps for success, and much more. This webinar was held live on February 15, 2018 from 2:00 pm – 2:45 pm CST. We recorded it so you can watch at your leisure... you can watch it here https://astanzalaser.com/webinar-laser-tattoo-removal-business.